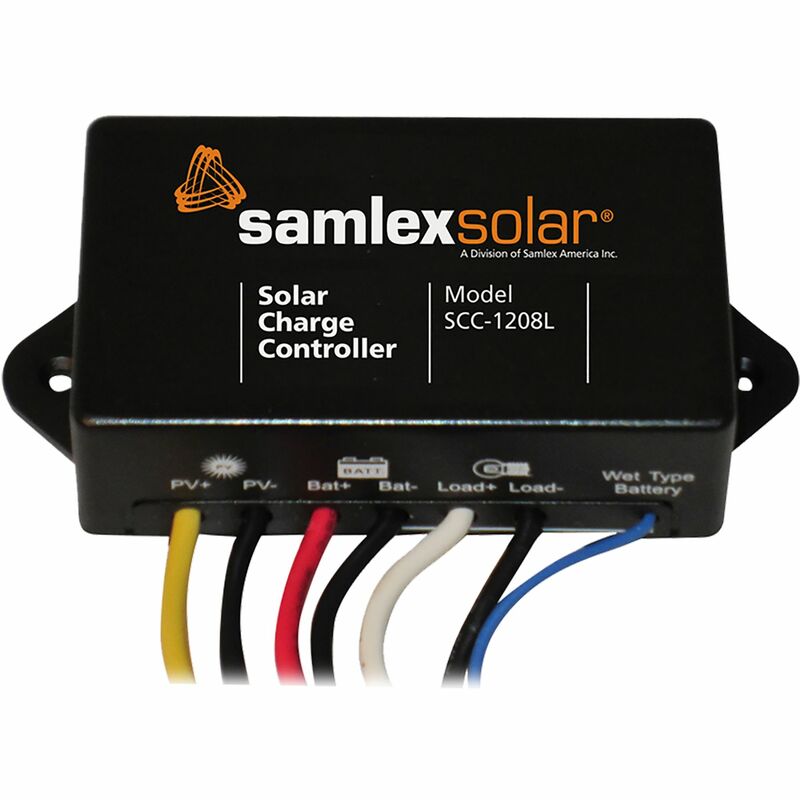 The Samlex 12 Volt 8 Amp Solar Controller is waterproof. Attach it to your solar system (up to 130 Watts). The SCC-1208L is a Series Type of PWM (Pulse Width Modulation) Charger Controller. It's based on an advanced design using a microcontroller for digital accuracy and fully automatic operation. The PWM battery charging has been optimized for longer battery life. Low voltage disconnect protects the battery against deep discharge when the load is connected to the Load Terminals. Industry leading warranty of 5 years. Do you own the SCC-1208L? Please, tell us what you think about it. It helps us provide you with better products. Please note that it may take up to 72 hours for your review to appear.